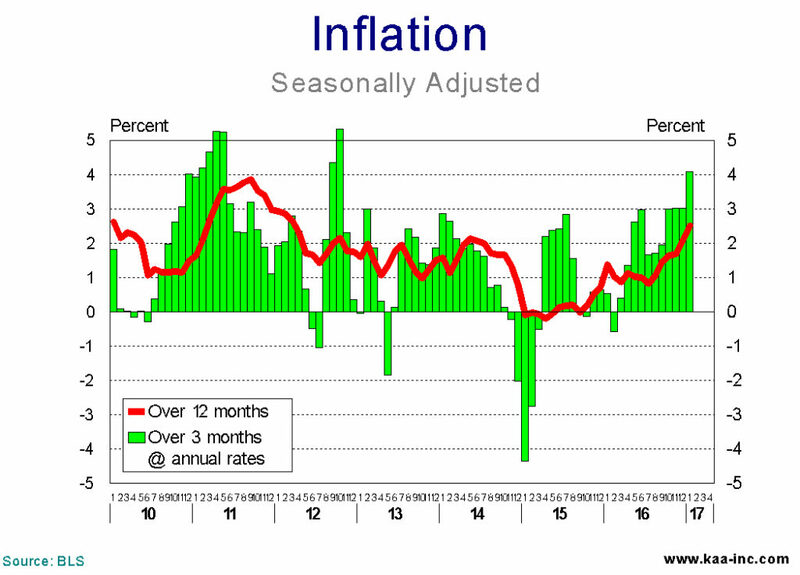 The Consumer Price Index (CPI) increased 0.6% in January on a seasonally adjusted basis according to the BLS. And while this is an increase of only 2.5% over the last 12 months, over the last 3 months, inflation has been rising at an annual rate of 4.1%. According to the BLS, the January increase was the largest since February 2013. A sharp rise in gasoline prices accounted for nearly half the increase, and advances in prices for shelter, apparel, and new vehicles also were major contributors.